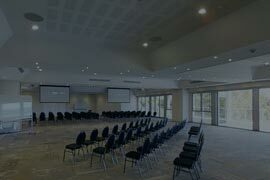 Located a convenient 20 minutes from Adelaide’s CBD and with capacity for 400+ guests, the multi award-winning Adelaide Hills Convention Centre offers an unparalleled function centre to host your next conference, corporate incentive, wedding or gala event. 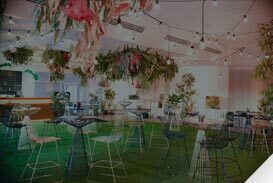 Rising above the valleys in the picturesque Mount Lofty Ranges, the centre is perched atop 32 acres of manicured grounds 800 metres from Hahndorf’s main street. Combine this with incredible food from our on-site 5-star Executive Chef, fully integrated AV solutions, stunning on-site accommodation, break out room options and event management services and you have every quality and convenience to make your event a huge success! Our venue is open for inspection, from anywhere and at any time! 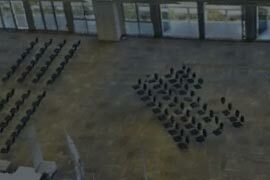 Take a virtual tour of our expansive modern upper level with a conference set-up for 150 delegates or a wedding setup with all the glitz and glam! 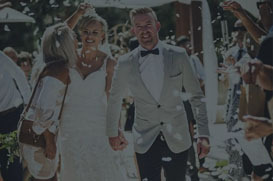 Plus, take a virtual tour of one of our stunning weddings on the lower level, offering a warm rustic ambience featuring 100-year-old wooden floor boards, exposed beams and timber pillars sourced from the historic Port Adelaide Wool Stores. Thanks to you and the team for putting together a seamless, stress-free day for us. You run like a well-oiled machine! Everything you [Dee, Wedding Coordinator] did in the lead up and on the day was amazing. The comforting chats, being available to us when we rang or within a short time, no question was too silly and I particularly like how organised you were and made it easy for us to know what we needed to do. Our ceremony venue upstairs was beautiful, spectacular views set the scene for our vows and our reception downstairs was just as beautiful. We have had many of our guests comment on the exceptional quality of the food and timely manner in which everyone was served, and the drinks went down easy too! We thank you for being within waving range during our reception to continue to provide us with anything we asked for. You all deserve every award coming your way. Please thank all the staff who were working during our wedding. We fell in love with the venue as it had everything in the one spot. Our ceremony was in the gardens overlooking the lake & our reception was in the lower rustic level, one of the main reasons we choose the venue, as it has so much charm & character. Our events coordinator Dee, was amazing & thanks for making me feel so relaxed. She made sure everything was just the way we wanted it. We loved Dee! The staff were all lovely & made sure our guests were looked after. The food was well presented & insanely delicious! Almost everyone commented about the amazing venue & food! 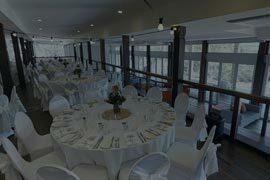 We highly recommend Adelaide Hills Convention Centre to anyone looking for a venue as this place is the best! Our team really enjoyed the facilities and service provided by the AHCC. Many commented on the beautiful setting of this venue. 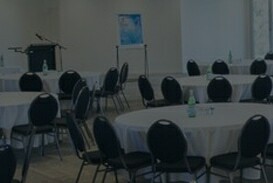 Our conference ran seamlessly and the staff were attentive to our every need. Thank you for helping to make it such a successful event. We were really impressed and have shared our experience with other business units whom I think have already booked in an event. We really appreciate your team’s help in helping us to run a successful conference. Accommodation was perfect for our needs, the room/facilities fantastic, the catering a real crowd pleaser. We are big advocated of the Adelaide Hills Convention Centre! I want to thank the whole team for your great service over the planning and the 3 days of the SA Parks Conference. Our event was great and went off without a hitch – and this was largely due to the efforts of you and the team. Please convey our thanks to all day/night staff who looked after us, in particular Amelia who was an absolute pleasure to work with. Also our thanks to the catering team – the food was amazing. Dinner was amazing. The indigenous meal was beyond high expectations. The way the chief explained what was served and gave a background of where it came from, was unique and just added to the experience. The food was excellent quality, fantastically cooked and brilliantly presented. An amazing job by the chef. I would like to comment on our experience: the venue is both beautiful, contemporary and of outstanding quality. The accommodation is simple and good quality. The conference facilities are excellent, and the staff are helpful and attentive, the catering was excellent and delicious. On behalf of Jesse and myself, we both would like to thank you so much for making our wedding day so special! It truly was the best day of our lives, it was perfect. So many of our guests have commented on how amazing the day was, the food was just incredible and you and your staff were so friendly and helpful! I will definitely be recommending you to anyone looking for the perfect wedding day! 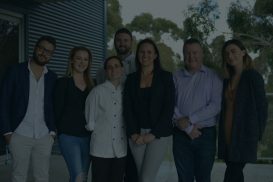 Alister Haigh would like to pass on his congratulations to you and the team at the Adelaide Hills Convention Centre on winning the award for Best Business Event Venue in Australia. This is a wonderful achievement and one you are all no doubt incredibly proud of. Alister and our executive group also pass on their thanks to your team for doing such a great job during our recent two-day conference which was a great success. 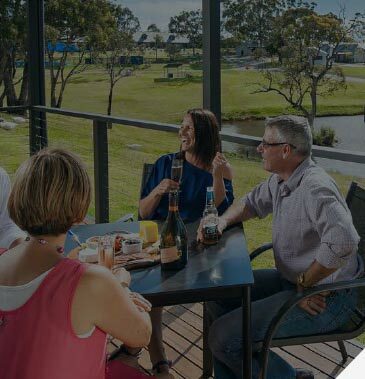 “We recently held our Staff Off-site at the Adelaide Hills Convention Centre. 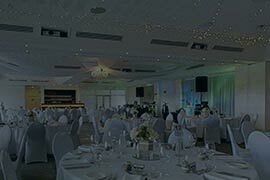 As an event co-ordinator one of the most difficult tasks in staging an event is finding the right location. The Adelaide Hills Convention Centre ticked all the boxes, from the helpful friendly staff, to the beautiful surrounds, the comfortable accommodation, amazing catering and cost. I just wanted to say a big “thank you” to you and the staff at the Adelaide Hills Convention Centre for all their work. The room was set-up brilliantly and the view was amazing. The food and accommodation was excellent. Board Members commented on how great the venue was and how beautiful the outlook. To say the executive committee organising the event was impressed is an understatement. The venue was excellent and nothing was too much trouble for the staff. They handled what could have been frustrating last minute changes during set-up with great professionalism and their efforts played a significant part in the event running without a hitch. Generous meeting spaces with ample natural light, good food & beverage options, freshly upgraded accommodation, and the staff were friendly and hospitable.